So Tuesday, I grabbed my friend Kristin and we went to the museum. One of the advantages of being out of work is that you can take off in the middle of the day to see an exhibit and what an exhibit it was. 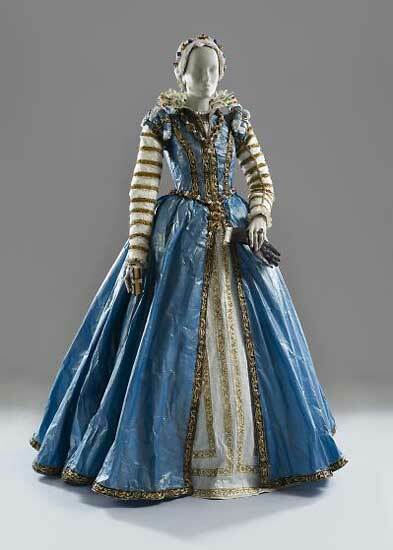 Pulp Fashion: The Art of Isabelle de Borchgrave is really not to be missed. Please note that although the exhibit is listed on the De Young Museum website, it’s not at the De Young. 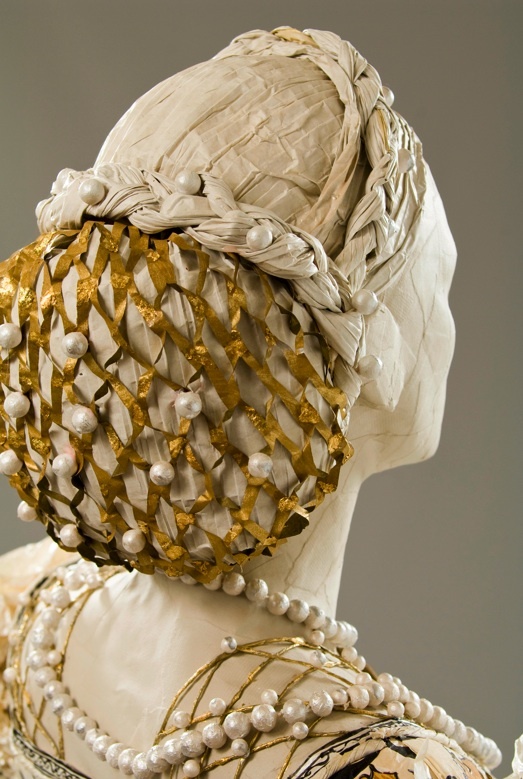 It’s at the Legion of Honor and linked via the De Young as they are sister museums. This was a good thing and a bad thing. A bad thing because we parked at the De Young in the garage, were greeted by a snooty employee who told us we were in the wrong place and was generally unpleasant. It’s a shame because I had wanted to see the new refurbishment on the De Young and this woman really didn’t make me want to come back any time soon. She gave us no direction other than “It’s at the Legion of Honor”. That’s nice. You know, I was born here but that doesn’t mean I know where anything is in this city. I haven’t lived here since I was four. Fortunately we were there for only 10 minutes so we weren’t charged for parking. The parking attendant told us where to go and gave us directions. THANK YOU! Hey! Museum people! You need to can the woman upstairs and give her money to the parking guy. So we were off to the Legion of Honor. I’ve never been there before and let me tell you, it’s beautiful. It’s right on the water, the views are amazing and there is free parking in the small lot and by the side of the road. Free Parking alone is a pearl without price here in The City. The admission to the museum and the exhibit was $15. Hell, when movies are $12, this is a bargain. We managed to avoid the groups of school kids and wandered through this amazing exhibit. Yes, all of these items are made of paper. The gowns, the jewelry, the shoes, the beads, the lace, everything. There are times you need to do a double take to make sure what you are seeing isn’t fabric. They even have a yard of cut silk velvet with gold thread under glass. The docent said a similar piece came up for auction at Sotheby’s and sold for over a million dollars. After the exhibit, we took in the rest of the museum. The have a huge collection of Rodin. I never saw any kind of high tech security system but since these items weigh a ton I doubt you could get them out without many people and the correct kind of transportation equipment. I highly recommend you visit this museum. The exhibit will be here until June 5th. If you are really short of cash, the first Tuesday of each month, all museums are free. sargentspeaksI should also say that private party was an AIDS fundraiser and I believe admission was around $70. NormanHey, it's Utah. Land of LDS and home of the conservative.